I don’t like musicals. But I like Ryan Gosling and Emma Stone so I had to witness La La Land for myself. 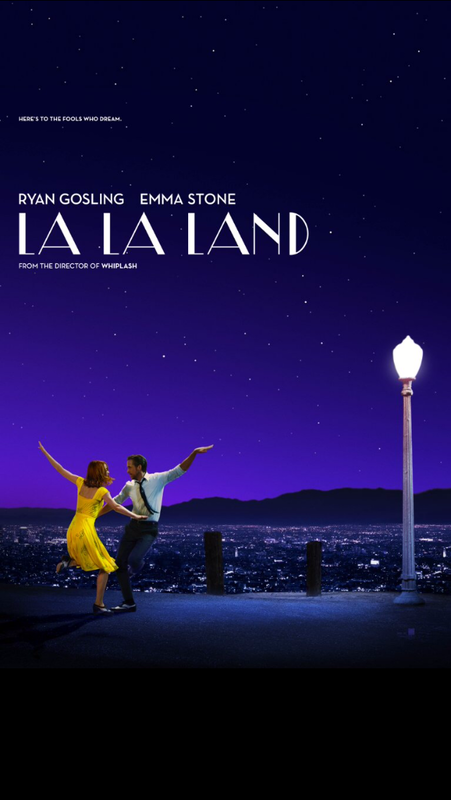 Gosling plays the jazz piano player hoping to open his own jazz club and Stone plays aspiring actress list in the audition process and cafe work. The movie features all the stuff about musicals which make my skin crawl, such as sudden singing and dancing, swinging round lampposts and synchronised footwork whilst sitting in a bench. And yet, I found this film so warm and charming that none of it bothers me. Like sitting in a warm bath of emotion. Stone shows her remarkable acting abilities as she auditions, turning from happy to upset in a fraction of moments. Gosling simmers with charisma as he follows his dream. The two don’t necessarily convince me as a couple to look at but again, none of that spoilt my enjoyment. Many of the scenes backdrops are picture postcard worthy and even the music actually had me getting swept along with them. I loved the ending too, although some audience members seemed perplexed. Life doesn’t always wrap up neatly and neither should movies. A success on my eyes. Watching J A Bayona’s directing of A Moneter Calls had me thinking I must’ve known his work from The Babadook since the two films both centre around a single mum, a boy and illustrations. But in fact Bayona is responsible for The Orphanage not The Babadook. Here we find Conor (Lewis MacDougall) who is differing from a recurring nightmare of losing his mother. Sadly when he wakes up, he remembers that he really is losing his mother to a terminal illness for which the various treatments aren’t working and time is running out. Sigourney Weaver plays the grandma of the boy who is the possible future of Conor if his mother does slip away. Weaver plays her almost like some wicked witch and adds to Conor’s issues. As if that’s not enough he’s getting bullied at school every day. Whether the approaching tree giant played by Liam Neeson is an embodiment of a mental breakdown or not is unclear but the tree man says he will visit Conor four times. The first three, to tell three stories and the forth time will be for Conor to tell the truth about his nightmare. On first glance this looks like the BFG done for young teens as a tale of coping with cancer. But it’s too upsetting for children – and adults really. Felicity Jones has the role of mum in an ever diminishing image of a dying mother. The visuals are fantastical enough before the tales told by The Monster are illustrated in a wash of imaginative watercolours. Live action meets cgi meets animation. It’s a work of art in many ways. The emotional punch is something you’re constantly trying to avoid as you watch but when the end of the movie comes it’s difficult to keep your emotions in check for much longer. 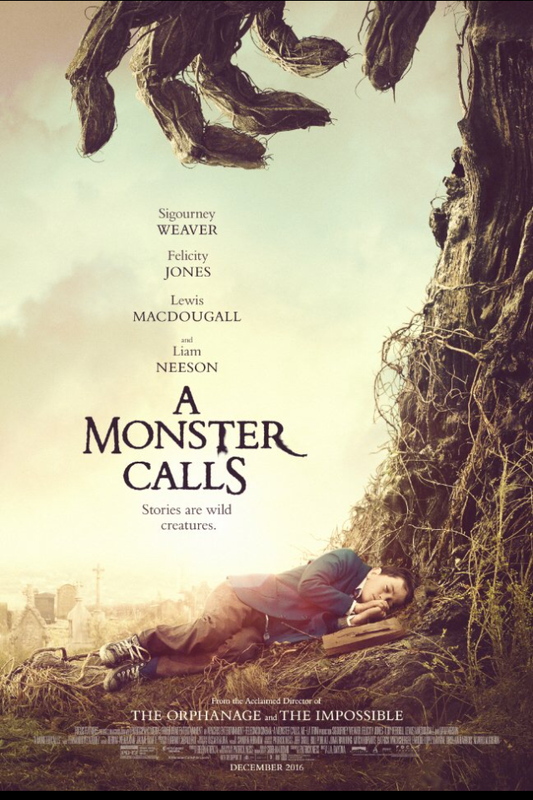 This film is for the child in us all as adults. The one that screams inside for their parents when times get hard. Fassbender. It’s the same as the game plays. All seems well at first until it gets repetitive and you realise you don’t care who gets the apple. I looked at my watch at the one hour mark and wished I was playing the game myself before remembering that I pad never stuck any of the games out to the end either. The picture is good but just so repetitive. It’s bloodless but violent all the way through plus has one F Bomb which made the 12a rating seem questionable as my 8 year old lapped it up. 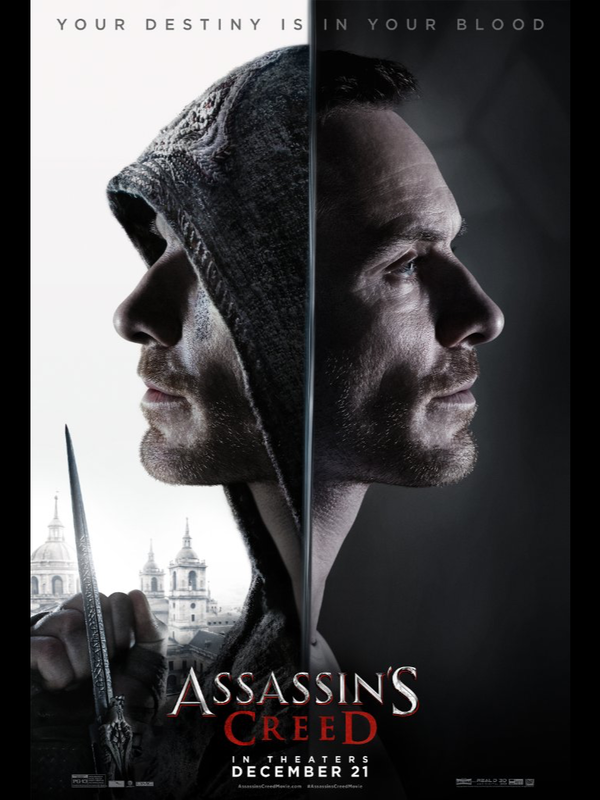 fassbender really gives it his commitment acting wise though. I can’t fault him. I think it just eventually meanders.